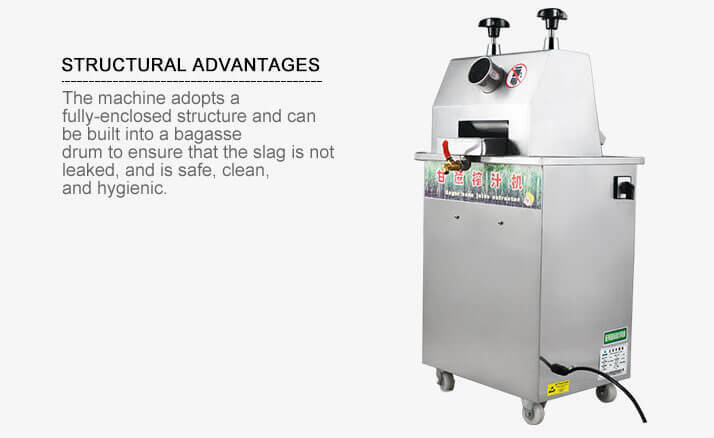 There are a variety of aspects to focus on when purchasing an extractor for sugarcane. 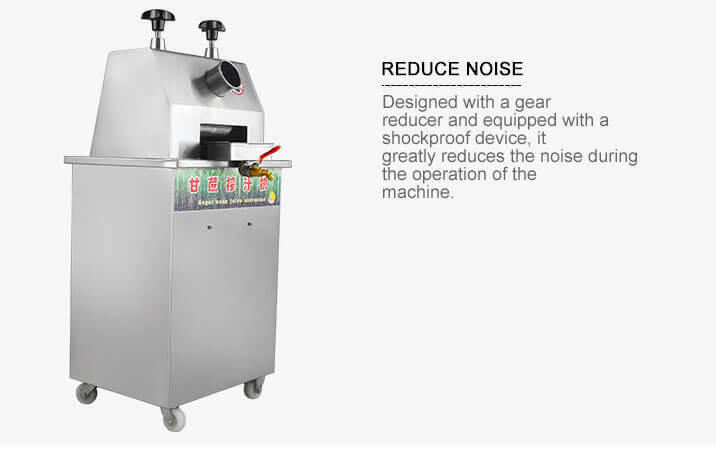 Is your juice extractor for home or business use? What kind of features must have? 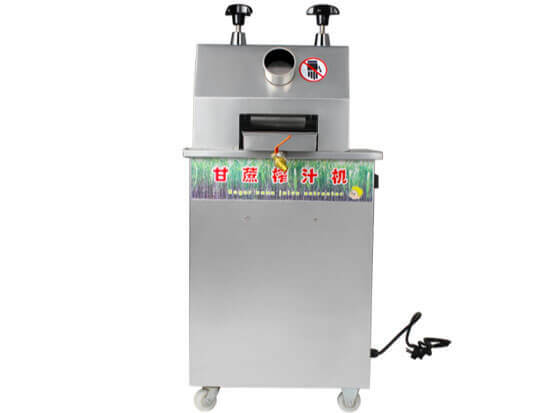 When looking for a vertical sugarcane juice extractor, you can consider the Ams02 Sugar Cane Juice Extractor with a stainless steel body, enclosed structure and no leakage of the juice residue. 1. 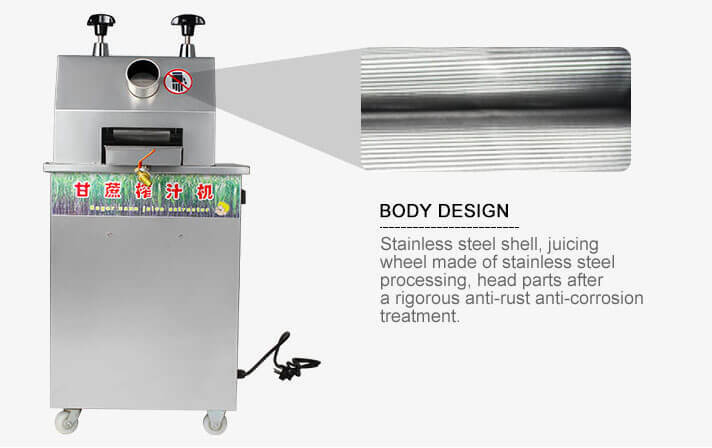 The roller is made of stainless steel and all parts are corrosion resistant. 2. Closed structure and bagasse barrels make the juice clean and healthy. 3. Gearbox design ensures a reliable operation and low noise. 4. Automatic separation of juice and bagasse. Roller tightening gap can be adjusted, the juice rate can be increased by 30%. Convenient switch, simple operation, red is the power off, green is the power on. Put the sugar cane directly through the feed port, the large diameter design can accommodate all the sugar cane. 1. First, clean the sugarcane and other fruits that are to be processed. 2. Regulate the wheel gap according to the size of sugar cane. 3. Open the valve and put the juice box and bagasse container rightly. 4. If you want to change the rotating direction, please turn off the power first. 5. Please clean the machine timely when finish processing.